Rancho Cordova, CA., September 20, 2017 – Eye care and eyewear are not usually top of mind following a natural disaster, but rebuilding your life in the aftermath when you can’t see clearly can make it even more difficult. VSP Global is committed to providing access to care at all times, but in times of crisis, that focus is amplified. To help, VSP Global has committed up to five million dollars in relief efforts. This includes partnering with VSP network doctors whose businesses have been damaged to help them return to providing eye care and eyewear for community members in need. 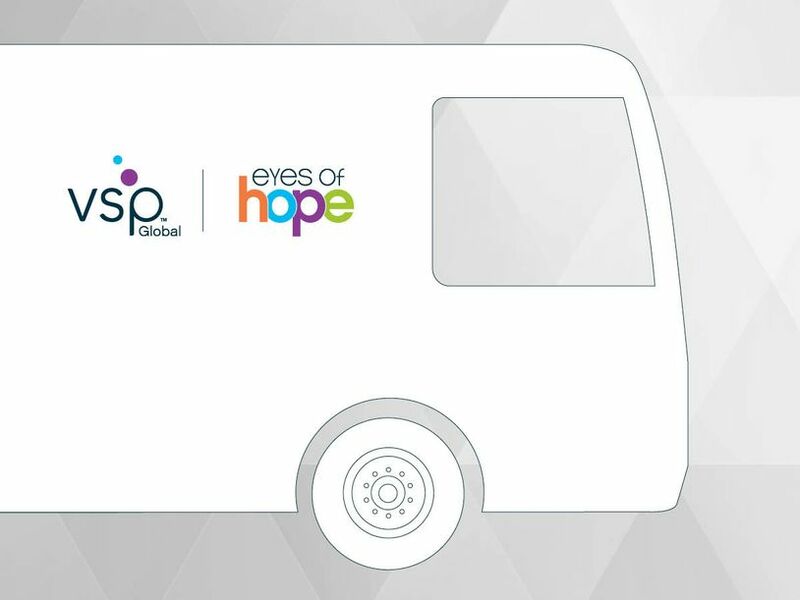 VSP is currently on scene in Houston with the VSP Global Eyes of Hope 40-foot mobile eye care clinic, which gives local VSP eye doctors who have been affected by the hurricane a place to provide care and new glasses to patients. Since arriving on September 11, doctors have seen nearly 350 people in need. A second mobile eye care clinic is ready to be deployed to Florida to partner with local VSP network doctors there to also help those impacted by Hurricane Irma. In addition to the mobile clinics, VSP has also provided 4,000 gift certificates to charitable partners to distribute to those in need across all of the areas affected. The gift certificates are redeemable at local VSP network doctors’ offices and include a comprehensive eye exam and eyewear at no-cost to Houston residents. For more information about VSP Global outreach, please visit VSP’s Eyes of Hope disaster relief resource site. As a doctor-governed company, VSP Global® exists to create value for members and opportunities for VSP network doctors. VSP Global’s complementary businesses include VSP® Vision Care, the only national not-for-profit vision benefits company, which provides access to eye care for its 84 million members around the world through a network of 40,000 eye doctors; Marchon® Eyewear, Inc., one of the world’s largest designers, manufacturers and distributors of high quality eyewear and sunwear; VSP Optics Group, industry leaders in ophthalmic technology and lab services, providing custom lens solutions for the vision and lifestyle needs of patients; Eyefinity®, the eye care industry’s largest electronic health records and practice management software company, and VSP Omni-Channel Solutions, which creates connected consumer experiences designed to strengthen the relationship between VSP members and their eye doctors. To date, VSP network doctors have provided eye exams and eyewear at no-cost to over a million people in need through a partnership with VSP Global’s Eyes of Hope®.